Medieval and early modern marriage was essentially an economic contract. A single person of either gender would find it much harder to build an economically viable life without a partner. Multiple marriages were extremely common in an era when life expectancy was short. A single life-long marriage is the exception. Most people married at least twice and three and four spouses were quite normal among the upper classes, who married younger. Poorer widowed men with children usually remarried within months, or even weeks, as keeping a family and working was almost impossible. Widows of childbearing age generally remarried, and older women would remarry if they could, for economic reasons. It was not uncommon for the widow of a tradesman to marry his apprentice and carry on the business. We tend to think of Henry VIII’s record of six wives as extraordinary, but, although he carries the royal record for spouses, he is not the most married man of the age – that palm goes to Sir Gervaise Clifton (1587 – 1666) who racked up seven spouses! Lady Margaret Beaufort had three husbands (four if you count an annulled childhood marriage). 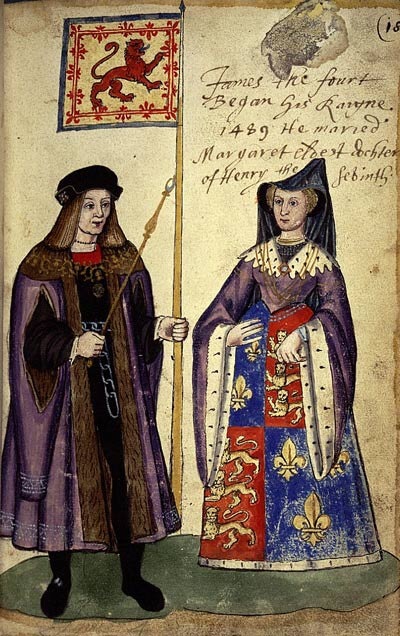 Katherine Parr married four times, Henry VIII’s sister, Margaret, three times, and his brother in law, Charles Brandon, Duke of Suffolk notched up four wives. Reblogged this on Arthurian Romances.